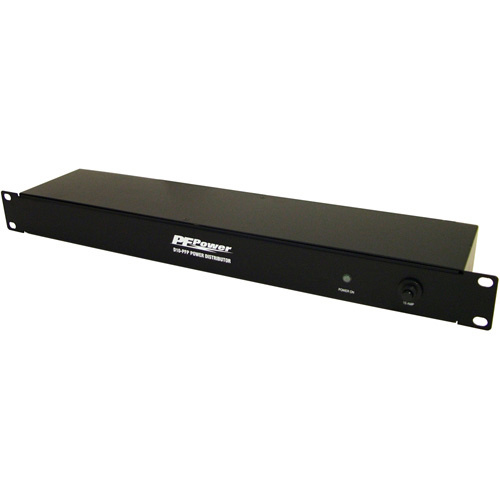 The D10-PFP is a sturdy, rack-mountable power distributor. Featuring 10 rear panel outlets with circuit breaker, it offers a convenient way to power a rack full of equipment up to a 15 amp load. The sturdy, all steel construction and heavy-duty 6 foot (14 AWG) three conductor cord provide ultimate durability and longevity. Note that the D10-PFP is a power distributor only, and offers no surge protection or conditioning functions, making it an ideal extension to an existing branch circuit.